The first episode of "Being Serena," a five-part documentary series on HBO about Serena Williams, closes with the tennis great in a hospital bed, about to have a C-section. Just before the screen fades, a voiceover from Williams is heard: "I was terrified. And it was a whole new kind of fear. Tennis? I don't think it ever felt so far away. And I don't think my life ever felt so unsure." That is just one example of the images and words that show vulnerability the world is not accustomed to seeing — or hearing — from the owner of 23 Grand Slam singles championships, someone whose on-court game is built, at least in part, on intimidating power. "Being Serena," airing on Wednesday nights starting this week, offers viewers a chance to feel as if they are getting to know the athlete better. There is the footage, including in the delivery room when Williams gave birth to her daughter on Sept. 1. 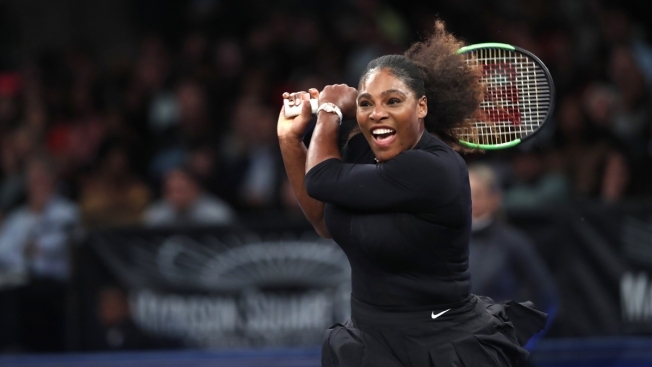 And there are interviews, including with Williams; her husband, Reddit co-founder Alex Ohanian; her tennis-playing sister, Venus; another sibling; their mother; and Williams' agent, Jill Smoller. The debut episode is titled "Fear." The other episode provided to reviewers is called "Strength." Those first two installments mainly focus on Williams' pregnancy, her difficult childbirth and her thoughts on motherhood. "There's no escaping the fear: The fear that I might not come back as strong as I was. The fear that I can't be both the best mother and the best tennis player in the world. I guess my only choice is to live and find out," Williams says at one point. She cries as she recounts the pulmonary embolism that made it hard for her to breathe shortly after her child was born. Ohanian: "What did you say when someone said that our little girl was going to win Wimbledon in, like, 15-20 years?" Williams: "Not if I'm still on tour." The second episode closes with Williams heading to the practice court, seven weeks after becoming a mom, ready to get her comeback to the tour started. "I was thinking that I could just feel it around. Just probably hit some groundstrokes and see if I still have it, you know? Or need to pursue a different career," Williams says with a chuckle. She won the 2017 Australian Open while pregnant and has not played in a major tournament since. Her next chance to take the Grand Slam stage could come at the French Open, which starts May 27. "I have more tennis to play," Williams says in episode No. 2. "I have my life to live."